Bedroom and colors are quite closely interrelated to each other. After all, both bedroom and colors have one thing in common and that’s “feelings”, “emotions”, “drama”. So mix it well with all the design ideas, sophistication, and style one has to go with some different, impressive and unique color theme bedroom. After all, a perfect color theme will bring out the most alluring and cozy bedroom full of feelings, dramatic effects, love and personal touch. 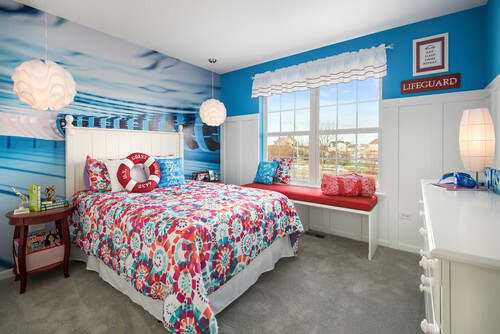 Yes, bedroom with the white color theme is called the pure ocean of feelings. White not only decodes the purity of love, passion and heart but it also brings in the peace, calmness and relaxation to your bedroom. Make your bedroom a small piece of love heaven to relish love all your life. An awesome combination of romantic red and warm cream or badge color will make your bedroom go super sweet, full of love and relaxation. Badge or cream color with a slice of red is like to ignite the passion of your love forever. Bedroom wrapped with the layers of blue walls or blue theme is one of the coolest and calm themes one can ever think about. It has class, every green beauty, suits all the season, keeps you calm, steady and relaxing forever. Yes, I am talking about the rhythm of purple mixed with the boldness of black. In general, people do avoid using black color in their bedroom. But black is just not a color it is an emotion which is being deeply expressed in a bold manner. It is one of the best modern bedroom colors of the era. 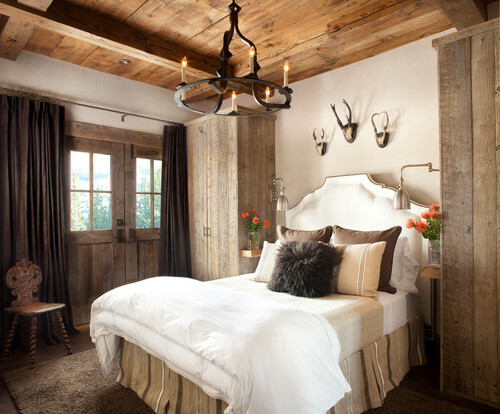 If you are a true lover of raw, rusty and woods then you must go for the wooden, brown and rusty combination for your bedroom. It has its own charm, beauty and unique class. Apart from regular colors and themes, it is important to have some different and unique piece of wall in your bedroom to make it look different and mesmerizing. What else can be better than dressing up a wall with some texture? Go wild, loving and classy with some texture theme in your bedroom. Let your bedroom go under the awesome therapy of refreshment and love with the theme of yellow and orange color. Yellow provides the brightness whereas orange is always there to put in the zing, freshness and sober looks to your bedroom. Here I call it “all season color theme” for every type of interiors for example – vintage, contemporary, eclectic etc. The very famous green for peace and brown for warmth and elegant style can be used perfectly to achieve the super sweet combination of peace and warmth in your bedroom. It gives your life a warmth, stability and peace forever. Mix up well with golden and brown theme to take on the royal styling for your bedroom. With some chocolate furniture, golden walls and white ceiling give it a completely personal touch and charming look. Every color, every theme has its own beauty, charm and class. A bedroom is a place which is quite personal and does not allow too much of experimenting on it. The bedroom always starves for the best of personal choice and refreshing bedroom paint ideas. Make your bedroom go beautiful and charming forever with these color themes. After all, the bedroom is all about love, care, romance and “emotions”. and a video to give you a better understanding for designing your personal Bedroom! !